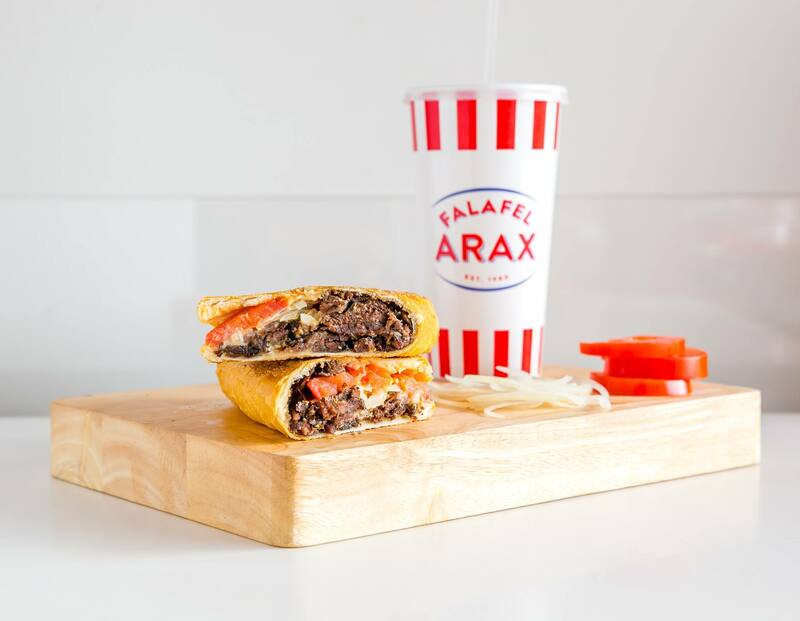 Worldwide icon-chevron-right North America icon-chevron-right United States icon-chevron-right California icon-chevron-right Los Angeles icon-chevron-right The best Mediterranean restaurant options in L.A. 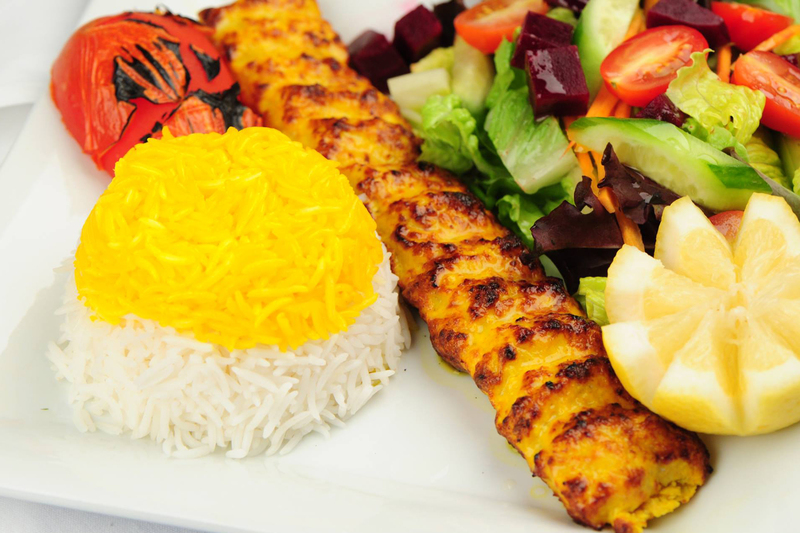 The best Mediterranean restaurant options in L.A.
Mediterranean is a huge term, with it covering more than 20 countries. 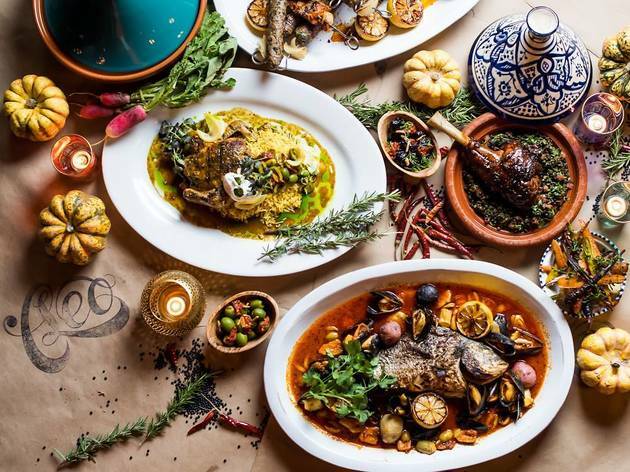 With Los Angeles being a melting pot of cultures, it's naturally a treasure trove of what seems like limitless Mediterranean options. Greek? Armenian? Syrian? We got it all. 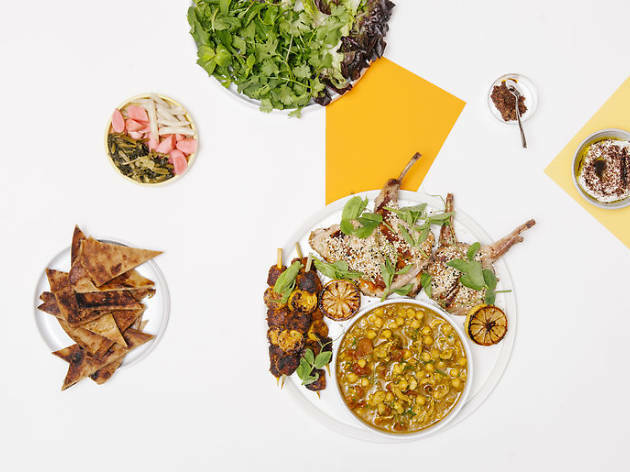 These various cuisines make up some of Los Angeles's best restaurants. But when it comes to the very best Mediterranean restaurant options, these are our top picks. There are countless great Armenian restaurants in Glendale, but this Jonathan Gold-approved spot stands out amongst the rest. 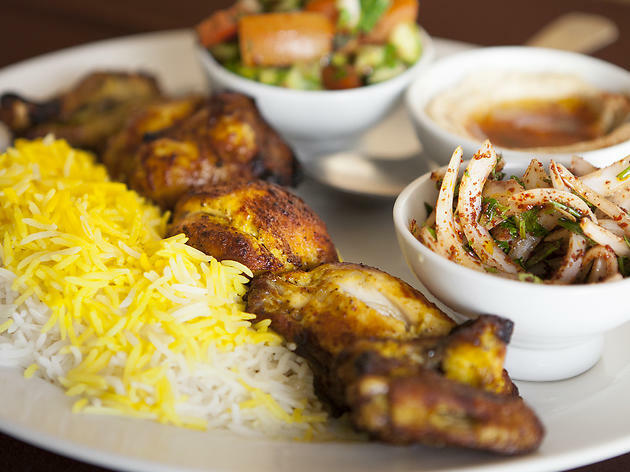 The sour cherry rice, kabobs and fatoush are all outstanding, but the grand prize is Adana’s house dolmehs—they’re a serious contender for best in the city. Seems like Chef Edward Khechemyan can’t seem to get anything wrong (particularly those dolmehs and that stellar Cornish game hen). After all that, how can the place be so affordable? We don’t know either. The whole city seemed to collectively freak out with the arrival of Dune, a small falafel joint from Scott Zwiezen of Elf Cafe. The Atwater Village eatery still draws a consistent crowd, with a line that quickly spills out the door and hungry diners hovering over the few places to sit. And yet, it's totally worth the wait. Dune's menu is small; sandwiches include falafel wrapped in house flatbread, lamb with lemon turmeric yogurt, and pickled beets and feta on ciabatta, all around $8-$10 and all made with unbelievably fresh ingredients. 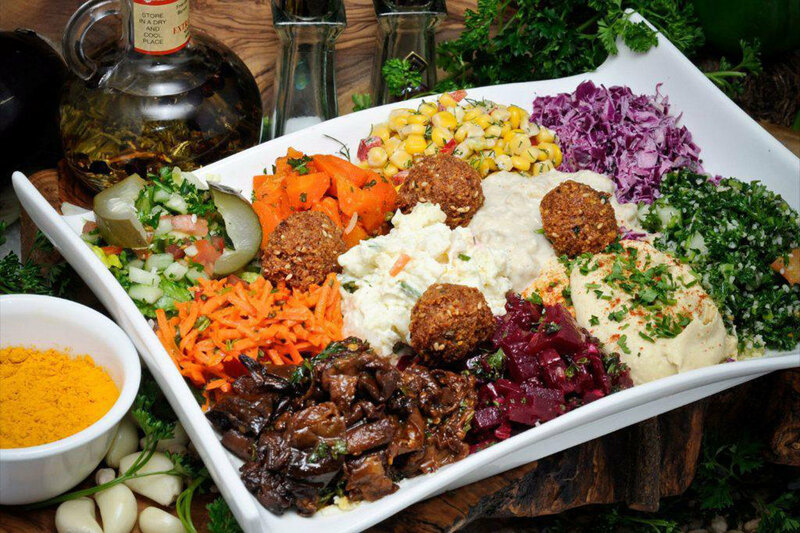 There are plates available with hummus, and sides that include tabbouleh. To drink, a killer kombucha fizzles with fragrant rosewater notes. Oh, and the falafel? Crisp on the outside, warm and fluffy on the inside, and yup, it's pretty much perfection. And Downtowners rejoice—a new location just opened around the corner from the Ace Hotel. 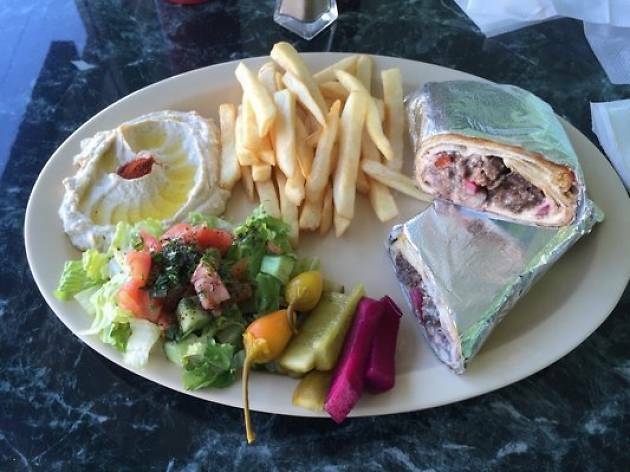 Kobee’s Syrian-style eats are certainly the best in the Valley, and probably even all of L.A. The meats and hummus are extraordinary. 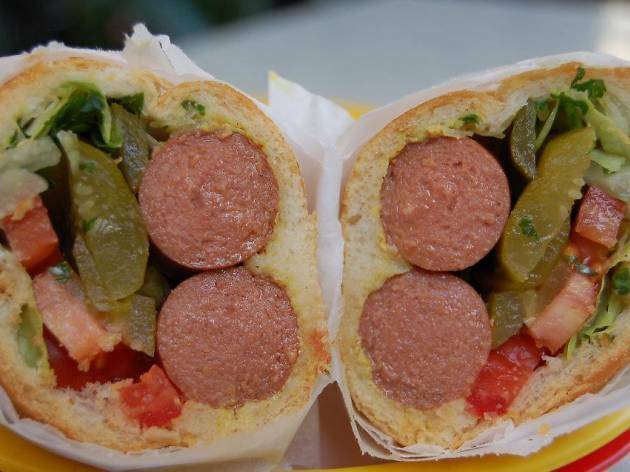 If you’re in search of a cheap lunch spot, look no further than one of Kobee’s shawarma sandwiches. If you're sick of the standard Mediterranean fare you find at some many L.A. restaurants, order the stuffed lamb intestines with minced lamb, rice and spices. It’s one of the best things you can eat in the city. 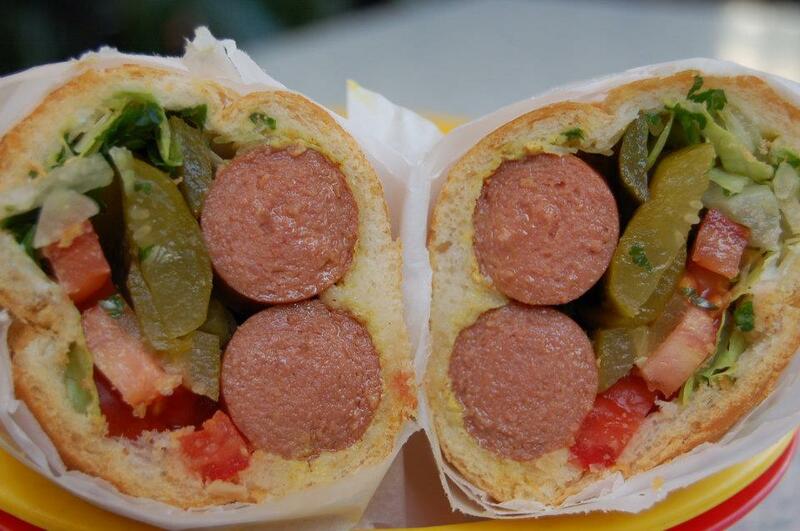 This East Hollywood spot has been on a number of best of lists, and there’s a reason. 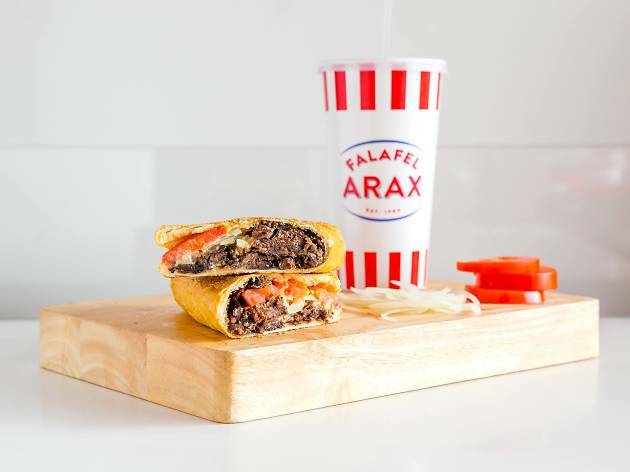 Lebanese and Armenian specialties riddle the menu at this family-run, strip-mall hole in the wall. 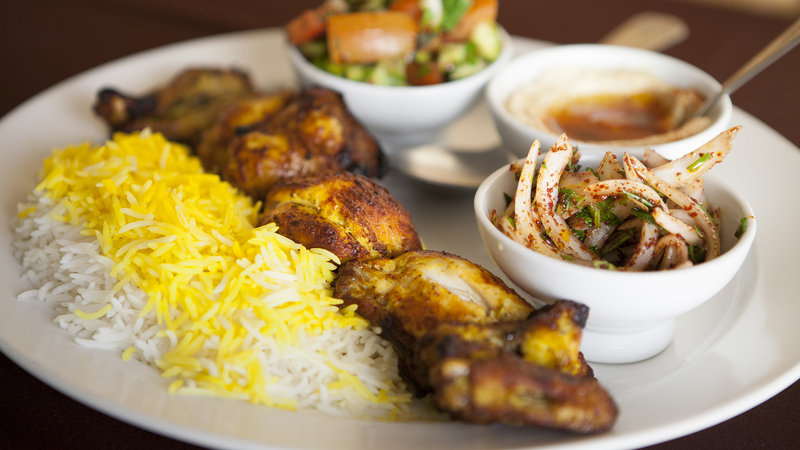 Take advantage of their daily specials (particularly the sujuk or the quail), and make sure to split the fattoush or the vegetarian combo with friends. The servers know exactly what to get and what not to get. Trust them. 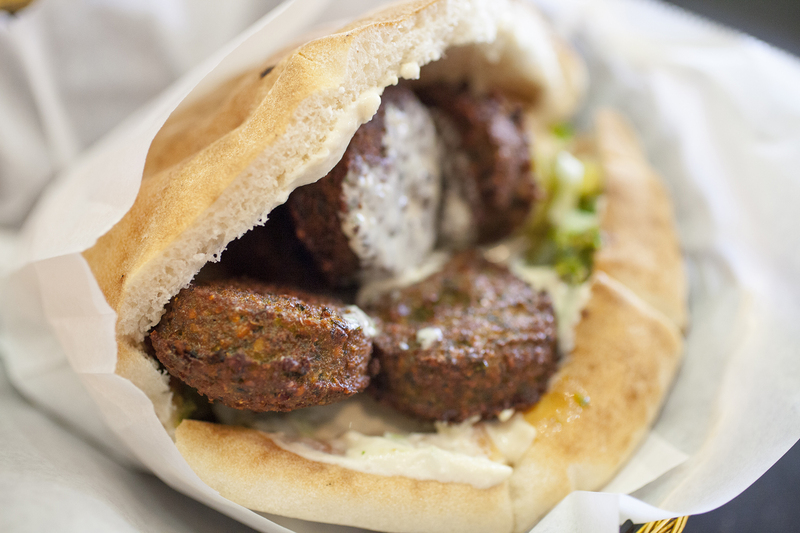 It can be hard to find great falafel in Los Angeles, but Amir's Falafel, found in a small strip mall in Studio City, is doing it right. 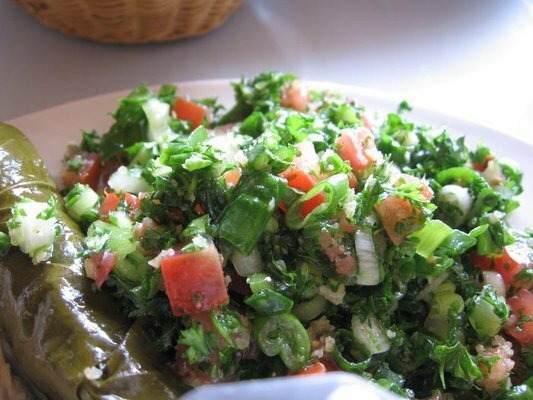 The place is unflinchingly delicious and the lineup of Middle Eastern salads is hard to beat, making it a top-tier destination for vegetarians. There's a lot to choose from, so go for one of the combo plates to maximize your sampling. Along with shawarma and shish kabob, Amir's offers freshly-made hummus and pita, and a variety of pickled veggies to try. 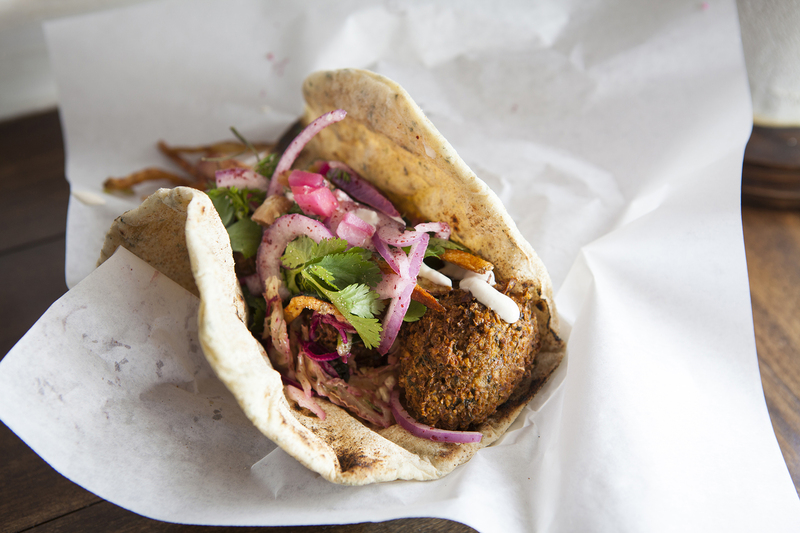 And then, of course, there's the falafel, crisp on the outside with a well-seasoned chickpea mix on the inside. And whatever you do, don’t leave without some of their homemade hot sauce. 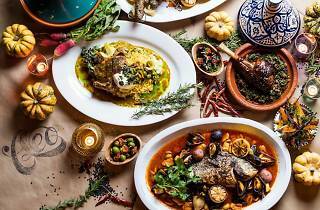 Perhaps the most lauded opening of 2017 so far has been Kismet, a new Turkish/Mediterranean option on the Hollywood stretch of Los Feliz. 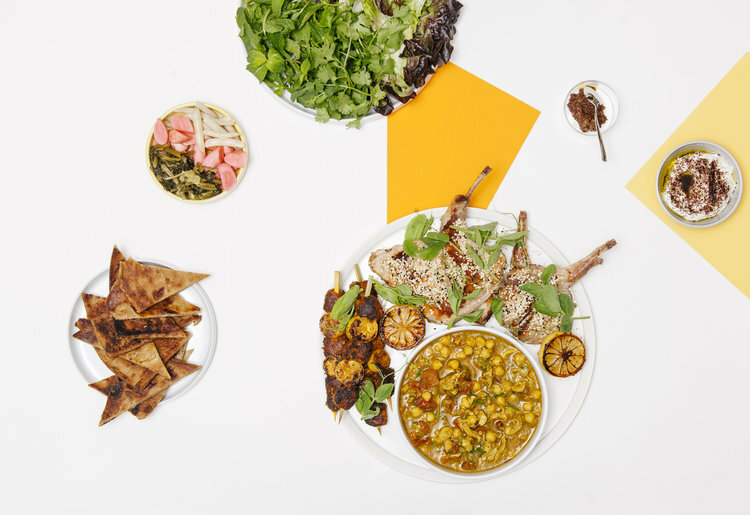 Brought to you by Sara Kramer and Sarah Hymanson (who are also behind Grand Central Market’s falafel haven Madcapra), with pastries by Sqirl’s Meadow Ramse. It's packed to the gills with excellent shareables and snacks, like broccoli toast, shakshuka, and insane flakey bread &anddips. The place is a winner, with a menu impossible to miss on. It’s popular, so expect a wait. The Redbury Hotel-based tapas restaurant has been a hit since the day it opened. Grape leaves, pork belly kebabs, shishito peppers, and kibbeh nayeh (lamb tartare, Bulgar, mint, and labeneh) are must tries, but most of all, you need the Brussells sprouts and grilled octopus in your life. The open kitchen upholds the prestige of Cleopatra herself, with the intoxicating scents of exotic spices creating mouth-watering culinary creations. Cleo always delivers experiences you’ll never forget. 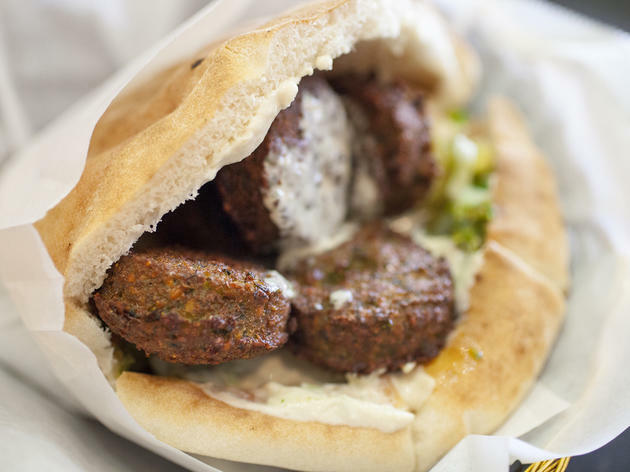 It’s not hard to find falafel in Los Angeles—it’s not even hard to find kosher falafel in Los Angeles—but good God is it hard to find great falafel. Enter Ta-eem Grill. 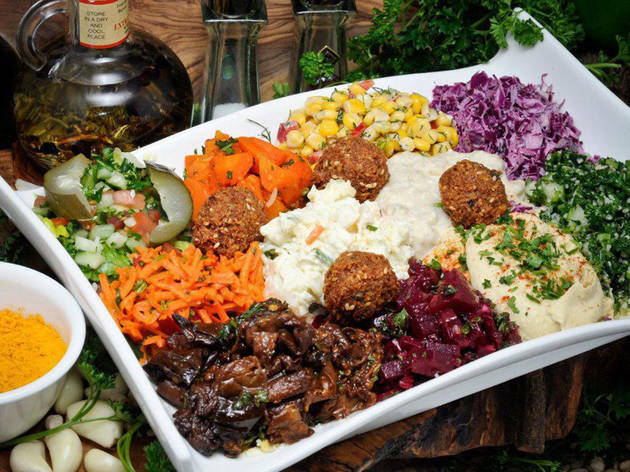 Named after the Hebrew word for “tasty,” this bonafide kosher WeHo restaurant serves up authentic Israeli cuisine and some damn tasty falafel. 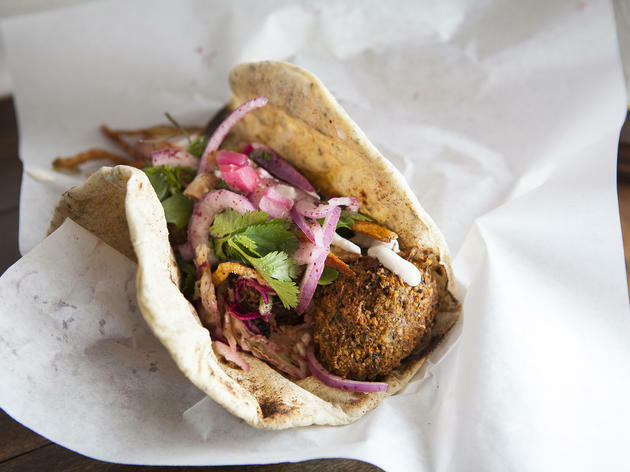 The falafel pita is true to its roots with hummus and tahini, plus your choice of Israeli salad, various sauces and pickled vegetables, all stuffed in an oh-so-fluffy pocket of pita. We suggest washing it down with a grapefruit Prigat, one of Israel’s many delicious, sugary juice drinks. Looking for more delicious food options? 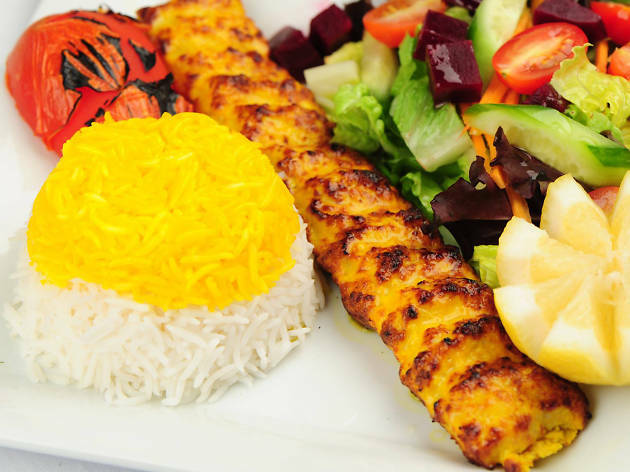 If you're looking for Persian food, these are the restaurants to try.